Check out Tobi's Show Stoppin Lace Up Bodysuit Show stoppin, traffic stoppin... this lace up back bodysuit loves the spotlight for sure. 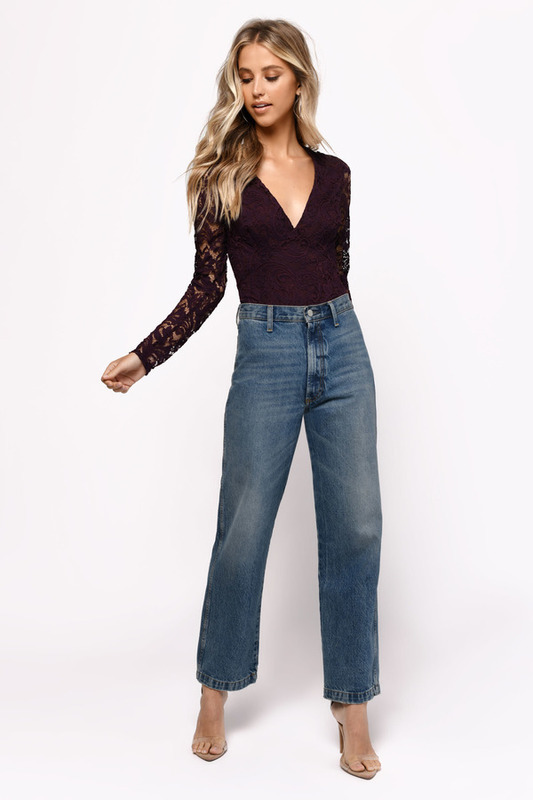 The Wine Show Stoppin Lace Up Bodysuit is lined at the front with sheer sleeves and a sheer lace up back for added va va voom. A plunging v neckline makes sure your front view doesn't feel left out.